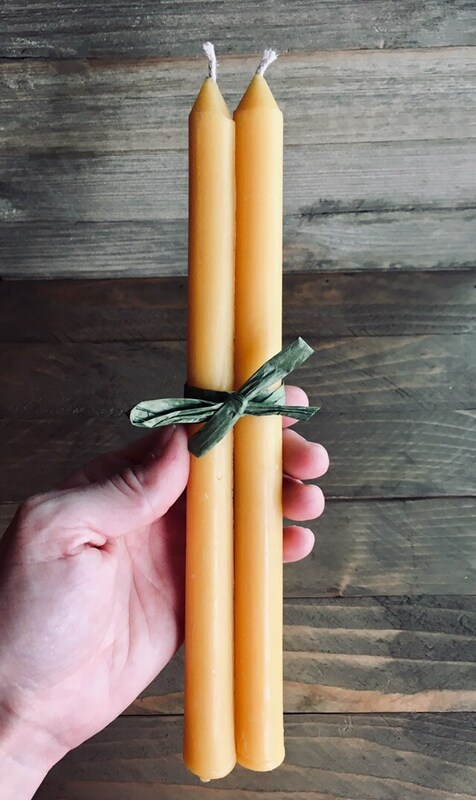 These hand-poured beeswax taper candles have a story to tell. Formed in a mold that was cast between 1860 and 1870, they are primitive, unique and utterly beautiful in their simplicity and charm. 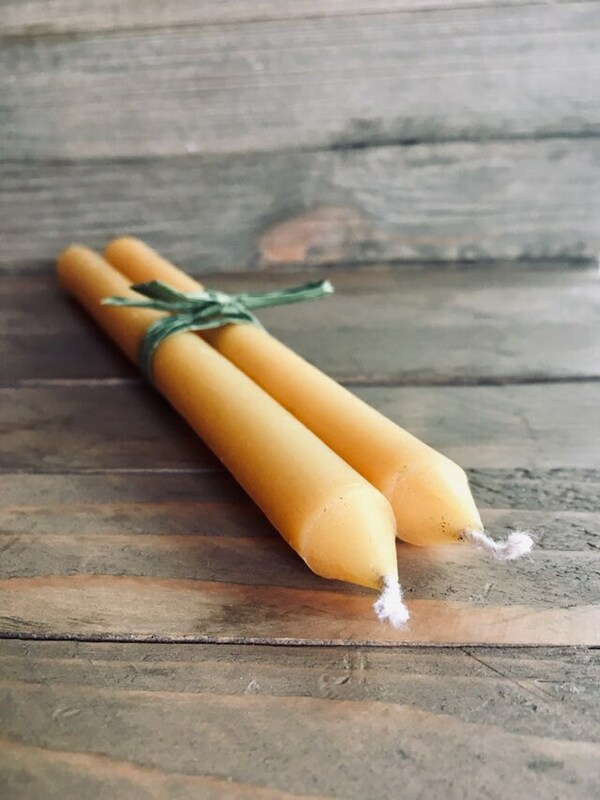 Made with 100% beeswax sourced from a local apiary with a zinc and lead-free cotton wick. 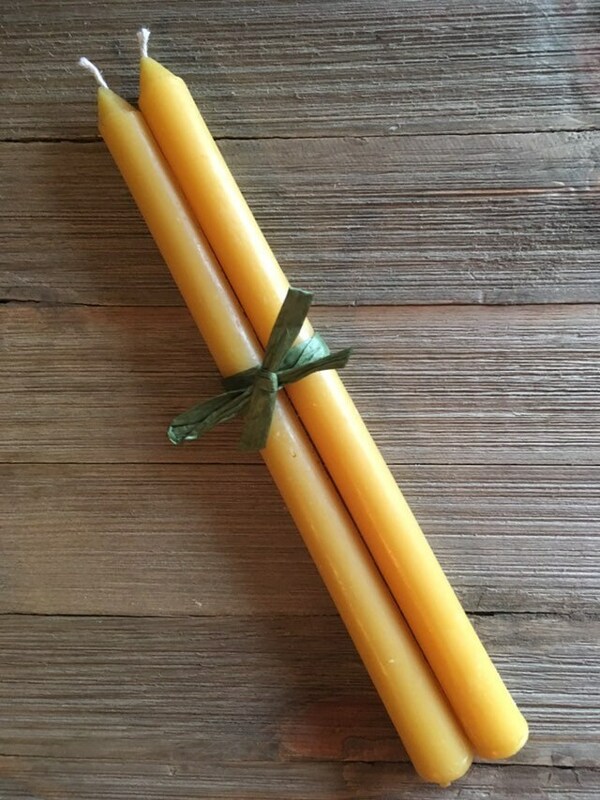 These tapers are unscented to let the natural, honey-like essense of beeswax shine. 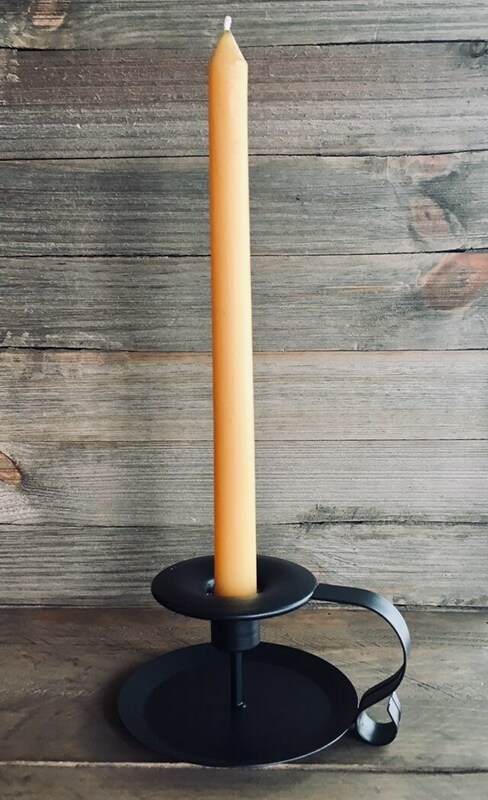 Sold in pairs and ready to light any occasion or table!